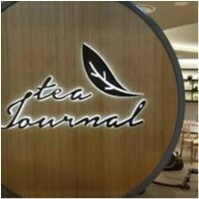 The Tea Journal joined our Mission to help provide access to “Clean Water for All by 2030”. This Mission was initiated by the United Nations. A big thank you to The Tea Journal’s team and customers for joining this extremely important mission on 17 August 2018. Tea Journal’s story started in 2015, where our humble tea plantation in China started our international expansion. From the mountains in Yunnan, the owner of Tea Journal Sunny Huang wants to share his tea story to the world. With over 10 years of tea experience, Sunny has always been influenced by tea, from growing up in the tea plantation he has always seen to be destined with Tea. Now filled with knowledge and passion, he aims to share his knowledge of tea in a more modern approach and bring the health, and meditative quality of tea into the international market.